Buying a perfect home in Dallas is one of the best investments you can make especially if you are currently renting. It’s no secret that buying a home for home buyers in Dallas can be an absolute disaster as well, that’s why you’ll want to pay close attention to the tips mentioned here. Without further ado, here’s the list of must-know things for home buyers in Dallas. Check them out before going to purchase an ideal and sweet home in Dallas. No matter if you are a first time homebuyer or this is the 10th time you are buying an ideal home, making sure that you are planning ahead of the scheduled timeframe is a great way to make the entire process far less stressful and create a much more successful home buying option. If you are already reading this means you are geared up fully to make a successful home purchase. Thus, planning ahead is one of the best ways to purchase a home in Dallas without any risk. Most of the home buyers in Dallas prepare a list of top priorities prior to buying a home which strongly encourages you to determine what is most important and what you can live without. Home buyers in Dallas often found engaged in totally different areas or totally different types of homes and this typically means they don’t have a plan/haven’t prioritized. These are the things homebuyer needs to decide on before buying houses because all home buyers in Dallas will eventually have to prioritize before they settle on a home. Unless you are doing a full, custom build and have a very large budget, there will ultimately be items you will have to live without and sacrifice on your purchase. It is best to already have a good idea of the items you can drop from your must-haves. Long gone were the days of needing 20% down to purchase a home. Mortgage options for home buyers in Dallas these days will allow you to purchase a home with as little as 0% to 3.5% down, assuming you qualify. The 0% loan is the VA loan and the 3.5% is an FHA loan. If you would like to learn more about what your options feel free to reach out a realtor to have a discussion with you and will remain in touch with one of top mortgage lenders. Remember, the money you invest in a home is similar to having a forced savings account. If you are one of the fortunate ones who can put down 20% and not pay mortgage insurance it makes a lot of financial sense to do so. This can save you thousands of dollars a year in mortgage insurance costs. If a home buyer in Dallas doesn’t have 20% for a down payment, still they can able to purchase an ideal home in Dallas with lower interest rates even when paying mortgage insurance. Aside from your down payment, you will have a wide variety of mortgage options available to you. Every lender will have different programs so you’ll want to make sure you chat with several to find what the best options are for you. Therefore, you are suggested to take a minimum of three different mortgage lenders when buying a home in Dallas as it’ll help you make sure you are receiving a good deal on your mortgage. Finding out how much house you can afford is an important step in the home buying process. You likely don’t want to max yourself out or overstretch yourself financially just because you love the home. Find a monthly payment that you’re comfortable with and go from there! When you plan to buy an ideal home in Dallas, make sure you know what area, neighborhood and location you want to be in first. You want to choose a location and neighborhood before you buy a home because there is nothing more important than the location & neighborhoods of the property those first-time home buyers in Dallas want to purchase. When it comes to appreciation, you will want to try and spot the desirable areas before they are outside of your price range. You may have kids and you may not, but know that school districts have a large impact on home resale values when it comes time to sell. If good school districts in Dallas are a priority for you, you’ll want to be sure to check out the best school districts in Dallas. Time is the most valuable asset in the world; you don’t want to spend your entire day commuting back and forth to work. Too often folks will overlook their work commute to settle on a home they love because it’s their dream home. Does your dream home include a 75-minute drive to work in the morning and a 75-minute drive home in the afternoon? That’s 150 minutes per day spent commuting and for someone who works 5 days a week that equates to 12.5 hours per week, or 27 days a year. Buying a home near the places you go the most will allow you to spend more of your time doing the things you love, whether it’s spending time with family or watching the latest TV shows. Time is valuable so don’t spend it commuting! One of the most important decisions that home buyers in Dallas make is choosing a realtor. A lot of folks opt to work with friends or acquaintances and don’t give a second look to the person’s resume or real estate knowledge. The realtor you choose will impact the home you end up in, remember that the next time you go looking for a realtor. A lot of times sellers will ask first-time home buyers in Dallas that why their home isn’t worth as much as they think and it’s typically because the realtor they worked with didn’t warn them against buying the most expensive home in the neighborhood or buying a home on the main road with a steep driveway. People often times change their realtor while in the process of buying a home. The reasons someone switches realtors are usually around the particular realtor’s motivation and/or experience. When buying a home, Dallas home buyers should hire a local realtor who’s going to work hard, understands the area and most importantly one you can trust to help you make a great decision. 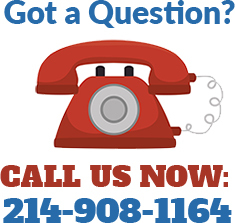 Want to buy and/or sell your Dallas home fast? 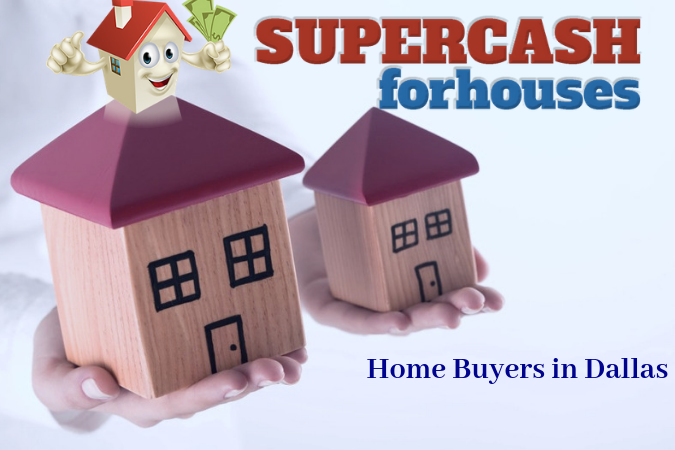 Get in touch with Super Cash for Houses! This entry was posted in Real Estate, Super Cash Tips, Super Cash Videos. Bookmark the permalink. Why Should You Accept an All Cash Offer for Your Dallas House?